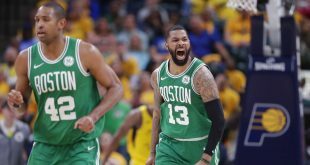 The Boston Celtics continue to shock the NBA world, winning 14 consecutive games after losing its first two games to the Cleveland Cavaliers and the Milwaukee Bucks; but Thursday night’s W means a little more than the others. 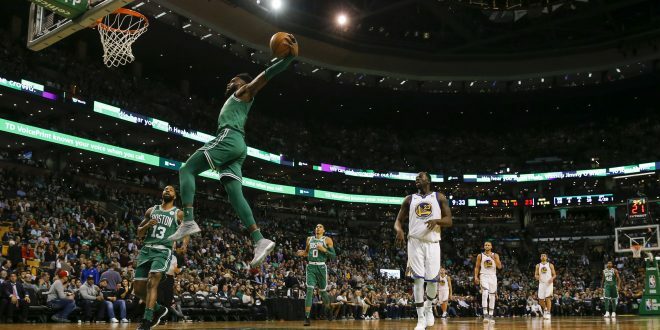 Celtics shooting guard Jaylen Brown led his team to victory over the reigning NBA champions Golden State Warriors in Boston last night just hours before learning one of his best friends died unexpectedly the night before. According to ESPN, Brown was unsure if he would be able to play after hearing the news, but used his emotion to make the tragedy a positive. The Warriors started out hot thanks to Kevin Durant’s eight point first quarter performance as they outscored the Celtics 28-18. Unfortunately for Golden State, they were not able continue that trend. Though Durant scored 24 points on 50 percent shooting on the night, the rest of his team was unable to find the bottom of the net. Steph Curry, Klay Thompson and Draymond Green all had poor outings; shooting a combined 26 percent from the field. The Celtics simply outplayed the Warriors. 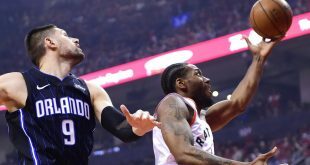 Their starters all scored in double figures and nearly outscored the Warriors with a combined 80 points on 40 percent shooting. 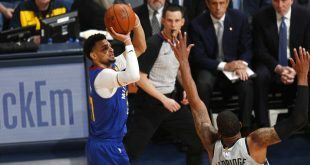 Boston did not shoot particularly well from the field either, shooting 33 percent compared to Golden State’s 40 percent, but were able to get it done from the free throw line. The Celtics closed the game outscoring the Warriors 74-60 in the remaining 36 minutes and are truly looking like championship contenders at this point of the season. 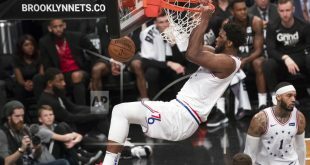 11/18 – Philadelphia Sixers, 7:30 p.m.
11/19 – Brooklyn Nets, 6 p.m.
11/22 – Oklahoma City Thunder, 8 p.m.
11/18 – Atlanta Hawks, 7:30 p.m.
11/20 – Dallas Mavericks, 8:30 p.m.
11/22 – Miami Heat, 7:30 p.m.
Next CFB Preview: Will the Rebels win final home game against the Aggies?